Another flagship Galaxy phone is getting an update with the September 2018 security patch. 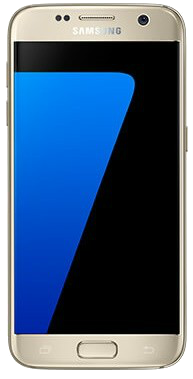 Samsung has released an update for the Galaxy S7 in the United Kingdom with the latest patch included and with software version G930FXXS3ERHD. You can expect the same update to arrive for the Galaxy S7 edge in the next couple of days. The September 2018 patch brings fixes for nine critical vulnerabilities in the Android OS and 18 that pose a danger to Samsung’s software. You can expect the improved security to be the only change the new Galaxy S7 update brings to your phone. The Android version is still 8.0, and with two major OS upgrades already released for the Galaxy S7, Android 8.1 or Android 9.0 Pie are unlikely to ever arrive. To check for the update on your Galaxy S7, open the Settings app on the phone, tap Software update, then hit the Download updates manually option. You can also download the complete firmware from our database if you wish to upgrade manually. Do leave a comment if you have received the update already or notice anything new after installing it. Im in South Africa using a Samsung Galaxy S7 Edge. My device is still running android 6.0.1 MarshMellow. I tried a couple of times to update the software but it keeps giving me the same message over and over again..”The latest updates have been installed”. I even tried booting it up manually but no luck. The Nougat firmware loaded on Sammobile fails when loading to Odin software. Does it fix the battery drain and overheating issue on exynos ?